Shop for professional-grade ESD-safe infrared rework and reflow stations, which produce a highly concentrated heat wave when you need to precisely solder without disturbing nearby components. 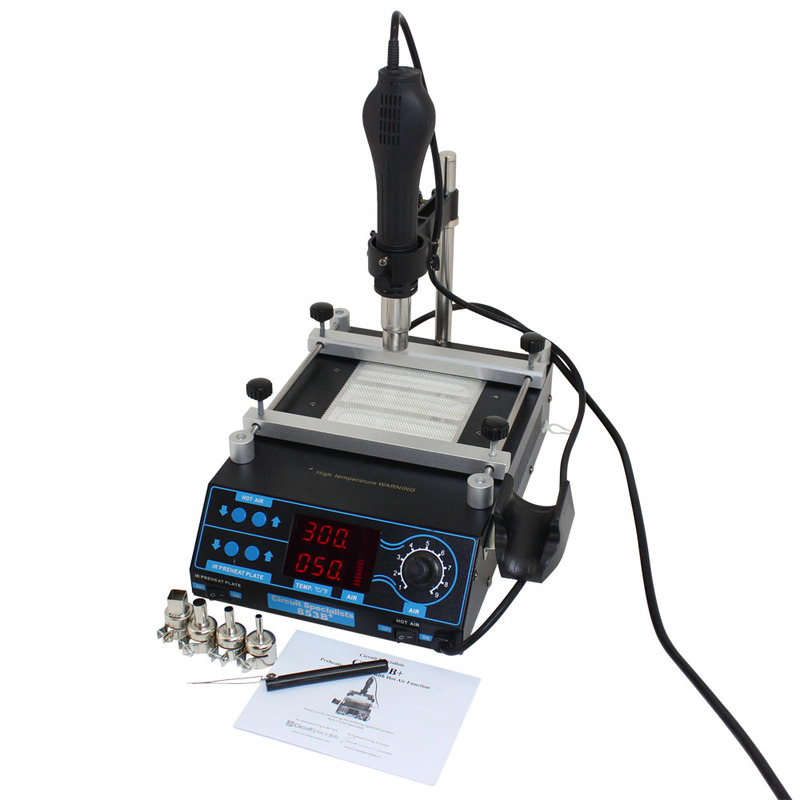 Our 3-in-1 units combine the functions of an infrared welding tool, soldering iron, and a pre-heater. We also carry versatile microprocessor- and temperature-controlled reflow ovens that enable you to preheat many surface-mount components at once.